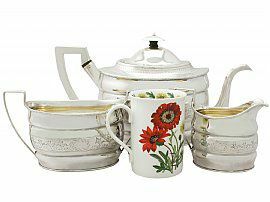 This fine antique George III sterling silver three piece tea service consists of a teapot, cream jug and sugar bowl. 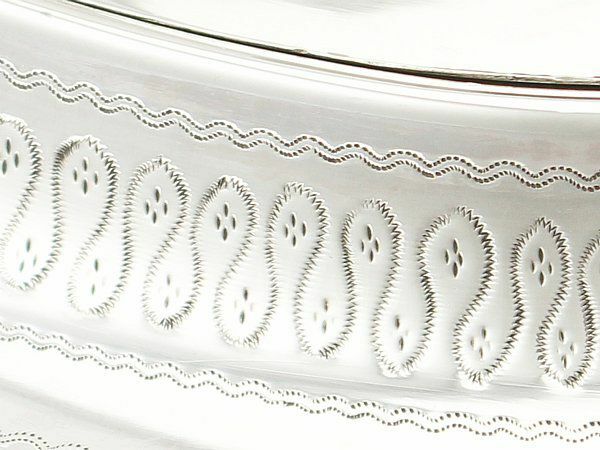 Each piece of this impressive Georgian service has an oval rounded form. 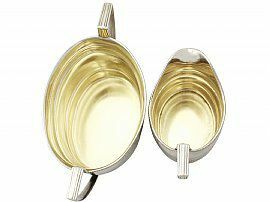 The body of each piece is subtly segmented with horizontal incurves and encircled with bright cut engraved stylised scrolling leaf designs above an undulating link band to the central portion. 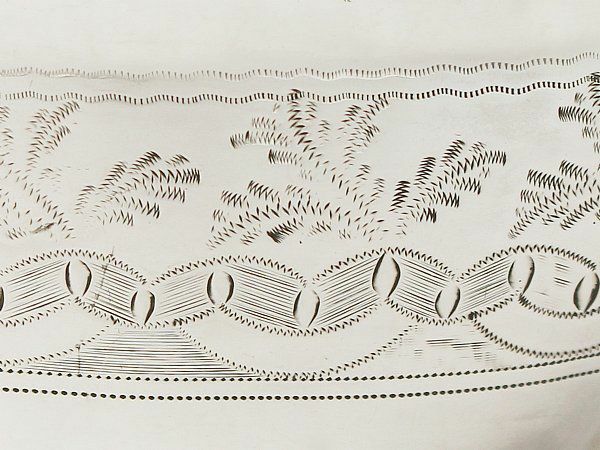 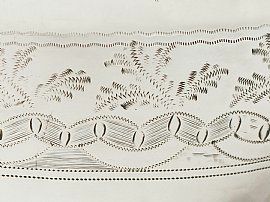 The decoration to each piece incorporates a small leaf bordered oval vacant cartouche to one side. 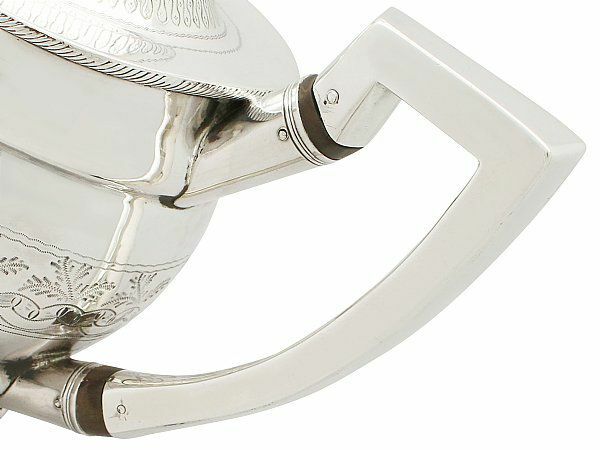 This impressive Georgian silver teapot are ornamented with further bright cut engraved undulating decoration to the shoulders. 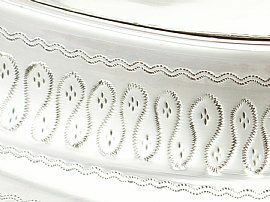 The upper and lower rim of each piece is encircled with an applied rope twist style border. 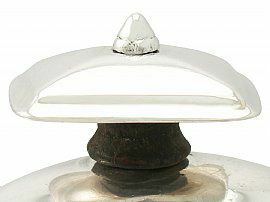 The teapot is fitted with a plain domed hinged hallmarked cover surmounted by the original sterling silver lozenge shaped finial. 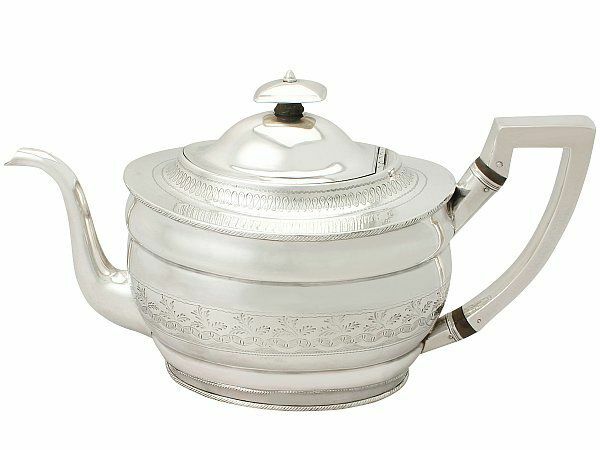 The teapot is fitted with a plain sterling silver angular faceted handle and plain swan necked spout. The cream jug and sugar bowl are fitted with sterling silver thread decorated angular handles. 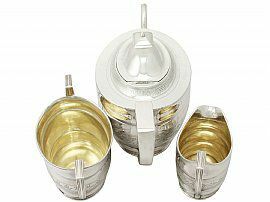 The impressive sugar bowl and cream jug retain the original gilded interior. The pieces of this provincial Georgian tea service are large examples for their type. 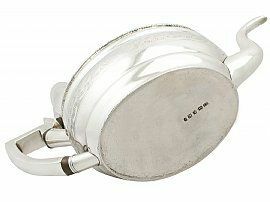 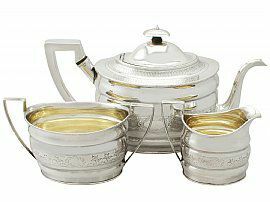 This large antique three piece tea service is a very good gauge of silver, excellent quality and in excellent condition. 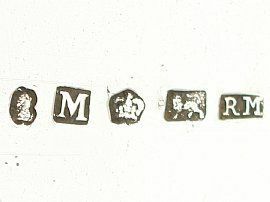 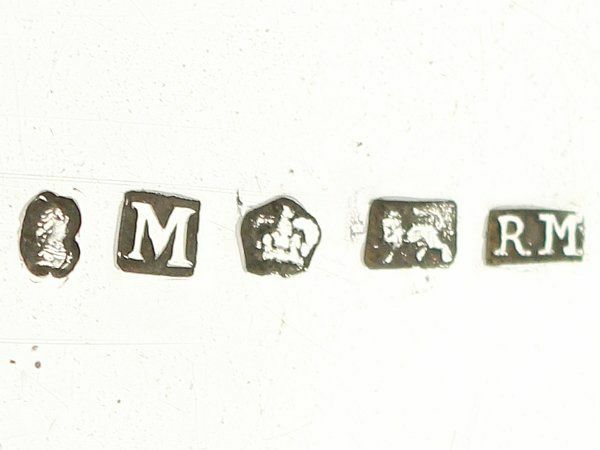 Full hallmarks struck to the underside of each piece are all very clear. Reflections in photographs may detract from the true representation of this set of Georgian teaware. 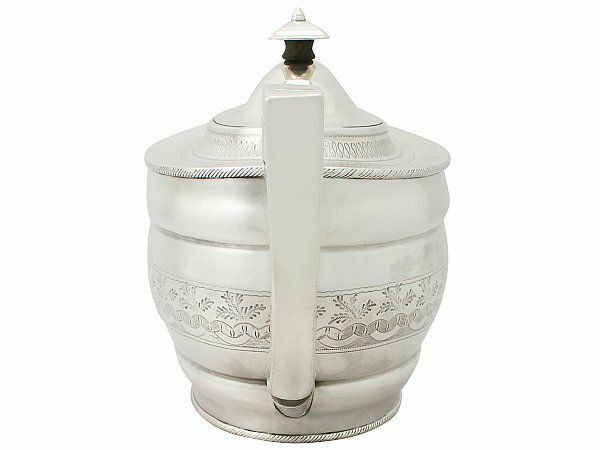 Length from back of handle to tip of spout 31.6cm/12.4"
Height to top of finial 14.5cm/5.6"
Length from back of handle to lip 12.6cm/5"
Height to top of handles 10.5cm/4.1"